Can You Make Money Selling Isagenix? Does getting involved in this MLM company mean that while you are losing weight (thanks to Isagenix weight loss products) your wallet grows? My Isagenix review will answer these and many other questions including an inside view into the compensation plan and joining process. Many people are also wondering if Isagenix is a pyramid scheme. Will find out in this review as well. But can Isagenix live up to these hopes and dreams? My review will show in detail what it takes to get involved with this company and if it is the right opportunity for you. The company has established itself in the ever so popular Health and Wellness niche which is a saturated market and therefore highly competitive. Can You Make Money Selling Isagenix? Isagenix International LLC is an Arizona based company founded in 2002 by John Anderson, and Kathy and Jim Coover. Jim, Kathy, and their son Erik are now the owners of this health and wellness MLM company. The married couple has been involved in the direct selling industry as distributors for several other companies. Apparently, Kathy has been a top earner for three different MLM companies before co-founding Isagenix. The company now operates in 17 markets around the globe with around 600 000 customers according to the DSA. Isagenix puts a lot of emphasis on scientific research for its products. They have a lot of documentation available for customers who are keen to learn more about the science behind the product. Unlike IDLife for instance, Isagenix has a whole website IsagenixHealth.net dedicated to its scientific studies. You can read more here. But it is not all Hunky-Dory. The Australian consumer magazine CHOICE did some research on Isagenix products and talked with a couple of dietitians. Dr Tim Crowe, accredited practising dietitian and associate professor in Nutrition says the cost of the products is high, particularly in comparison with real food and similar supplements available in chemists and supermarkets. Without a doubt, the weight loss 30-day system is one of the most popular Isagenix products. There are over 100 health and wellness products available ranging from skincare and beauty products to essential oils, nutritional and dietary supplements. Most recently, Isagenix introduced a new digestive health system called IsoBiome tapping into an ever-growing trending market for digestive wellness. Looking at the weight loss system, there are expensive with the cheapest one starting at $378.50 and going up to around $1000 (!) depending on the additional products. When I browsed the website, there were a few items and paks temporarily unavailable which can be frustrating for customers who are willing to spend that kind of money. 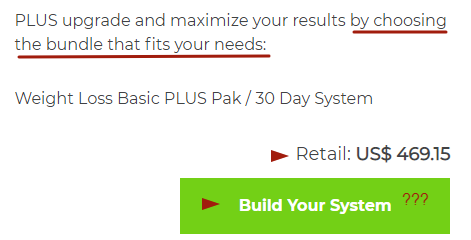 I personally found the website not user-friendly especially the ‘build your system’ part. 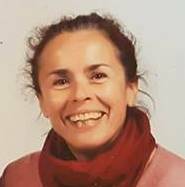 How would I know what paks or products to choose and How would I know what is best for me? There is no health assessment like IDLife offers for instance. And quite frankly, I wouldn’t feel confident to seek advice with an Isagenix associate – there are no qualified health experts. Before you can become an associate with Isagenix you need to sign up as a customer, even better as a preferred customer. The annual membership fee is $29 for customers who sign up for an auto-ship order. The idea is to test the products first before you decide to take the next step and become an associate. This sensible approach is very similar to IDLife or Bode Pro who want people to try before start selling them. Once you decide to take the next step, you’ll need to fill in an enrollment form and provide some more information to Isagenix. Customers can purchase products. Associates also have access to special promotions, training, and support materials. It doesn’t look like that there are any other additional costs involved other then purchases you make via the monthly auto-ship order. To stay active and be eligible to receive commission payments, an associate has to have 100 PV in a month which will be achieved through your personal auto-ship order. One of the best incentives for associates is to enroll new/preferred customers to get the PIB, Product Introduction Bonus. So if you get new customers enrolled who buy a Value Pak (priced at $589/$399/$269) on auto-ship you get a one-time bonus of $100/$50/$25. 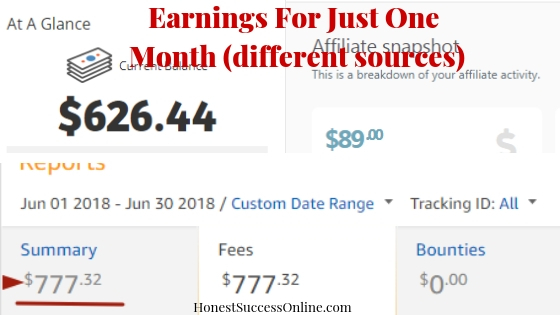 If you manage to find two customers who are enrolled in the same week and buy one of these Value Paks on auto-ship, the bonus payment doubles. The next step would be to advance to the Consultant rank. You must be active with 100 PV plus have one personally enrolled team member in each leg with 100 BV in each leg. Once you achieve consultant you are eligible for team bonuses and the likes. The rank advancement would give you a one-time bonus of $50. For each associate, you have personally enrolled and advances to Consultant, you’ll eligible to earn a $100 bonus. Isagenix makes it sound very easy to build a team with their mantra “You Share, They Share, Repeat”. I don’t think it is that easy to find new customers who are willing to fork out at least $269 on a monthly auto-ship order. Well, the same old, same old – sell to friends, family, and workmates. You can achieve five ranks: Associate, Consultant, Manager, Director, Executive and compensation is paid infinitive levels deep. For more details on the compensation plan, check out the video below. I do not endorse this video, it is for educational purposes only. Based on these numbers, the majority of associates (60%) made not a significant amount of money annually considering that the earnings don’t reflect any business expenses and the associate’s monthly auto-ship order. Only 1% of associates made a full-time income; taxes and other expenses not included. As it says in the compensation plan if you have access to a large network of friends, family, and workmates, you may earn an income, but it is not guaranteed. So, is Isagenix a pyramid scheme? It is probably borderline as with so many other MLM companies. The payment structure looks a lot like a pyramid. There are a few red flags for me. First up the need to have a monthly auto-ship order of 100 PV. I haven’t found an indication what the dollar value is for 100 PV. Secondly, one will get a bonus for recruiting associates who advance to the consultant. Other MLM companies don’t pay rewards for recruiting anymore to avoid being called out by the FTC. And lastly, the fact that compensation/commission is paid indefinite deep. There are a few pros and cons regarding the Isagenix opportunity. I avoid the term ‘business’ with any MLM company because it is not your business. Isagenix is a member of the DSA and is accredited with the Better Business Review with good reviews and an A+ rating. The startup costs are very low at only $29. BUT, the monthly auto-ship may add a quite a few monthly expenses. The company has done extensive scientific research regarding its products and has a dedicated website on the topic. The earning potential is very low and it is even worse because of the monthly auto-ship order. I personally would stay away from any MLM company that requires an auto-ship membership to receive commissions and compensation. You’ll most likely spend more money than you earn. The product statements on the Isagenix website are not evaluated by the FDA. The products are very expensive and similar products can be purchased cheaper elsewhere. The market in the health and wellness niche is saturated and it will be hard to sell the products with such a high price tag. I can’t see how Isagenix would be better than products from other MLM companies or products you could buy online. Overall, I would not recommend getting involved as an associate with Isagenix unless you have the finances to buy the products each month and have a large network of potential buyers. You may love the products but it doesn’t mean everyone around you will love them. Plus, who can pay at least $269 each month for weight loss products?